Anyone who knows me knows I love to shop. What I enjoy most about shopping is when I'm able to purchase everything I'm looking for at once. You know what's even better? When you don't even have to get out of your pajamas to make those purchases, of course! There's nothing better than having a one-stop shop for all of your needs. Ebay allows you to buy and sell electronics, cars, fashion apparel, jewelry, baby items, housewares and so much more. You have the option to bid auction style, or if you don't want to wait you can do a buy it now. A buy it now allows you to instantly purchase the item. I've been a member of Ebay since 2000 and I don't see myself stopping anytime soon. Over the years I've purchased clothes, items for my daughter, electronics, DVD's, and so much more. If you search hard enough you can score a really great deal that will surely make you smile. Keep Ebay in mind for gifts for anyone for any occasion. As part of Ebay's Partner Network Product Review Pilot, I was allowed to choose an item I wanted from the site to review. I'm always up for a shopping spree, so I was very excited for the opportunity. I scoured the site for a while thinking of what to choose. I scrolled past designer shoes, bags, jewelry, and even TV's before I made my decision. I've had a KitchenAid mixer for years but it's been breaking down and hasn't been working well lately. Choosing a new mixer was the choice I knew I wanted to make. A KitchenAid Artisan 5qt Ice Blue Mixer showed up at my door not too long after and I couldn't have been more excited. 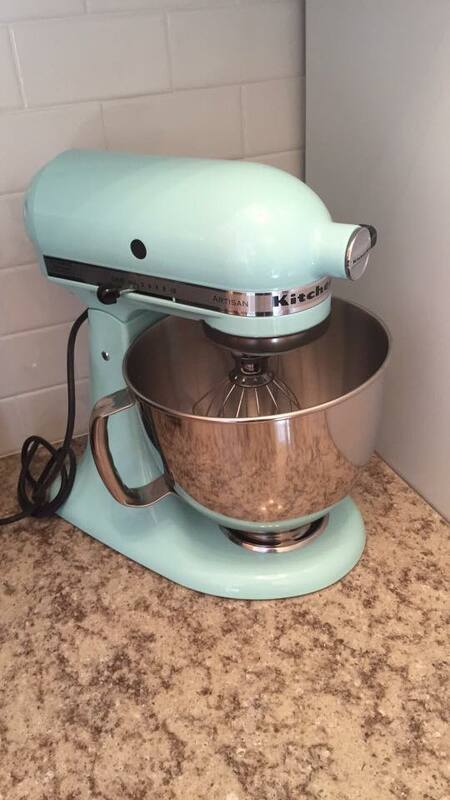 If you've never owned a KitchenAid mixer before, it's the ultimate appliance for cooking and baking. I don't make cookies in anything besides my mixer. This appliance comes with a dough hook, wire whip, and flat beater for whipping up breads and desserts to delight anyone. Isn't this just the most gorgeous color? I can't get over it! This beauty comes with a stainless steel mixer bowl and has a 10-speed slide control which ranges from a very fast whip to a very slow stir. The unique feature about this mixer is that you can buy attachments that connect to the very front. How about using an ice cream maker attachment or a pasta maker attachment? There's even a spiralizer attachment that allows you to make carrot or zucchini noodles! Any attachment would certainly come in hand for your next diner party or holiday meal. What I like to make in my KitchenAid mixer most is cookies. 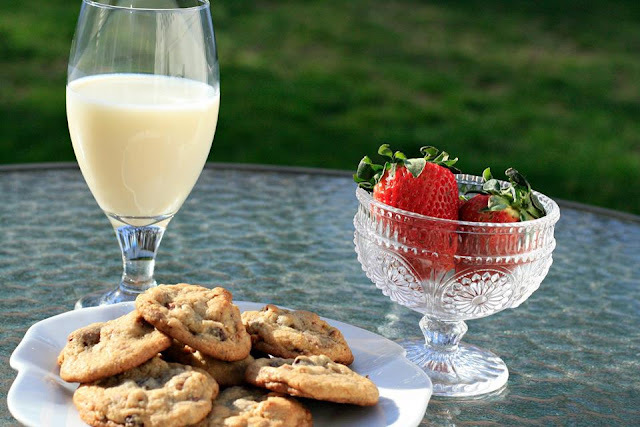 Everyone knows me for my cookies and requests them for various functions and events. I love to bake them too! When the mixer arrived, I knew a batch of chocolate chip, pretzel, and Reese's peanut butter cup cookies would be a perfect idea. 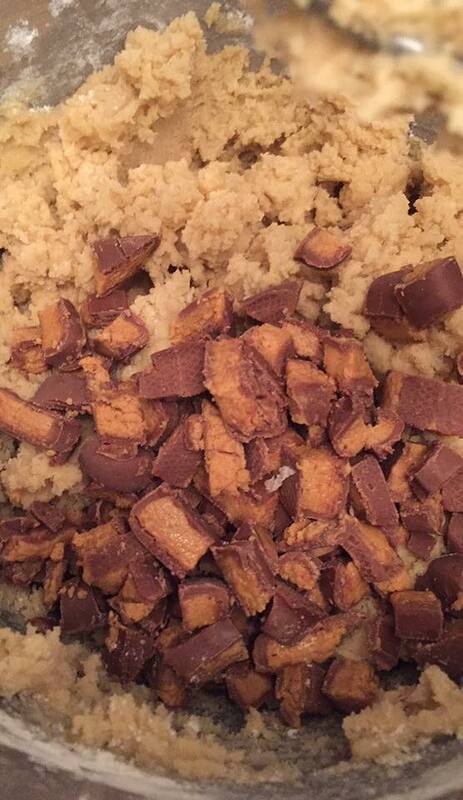 Look at those beautiful chunks of Reese's! The batter mixed together beautifully and evenly and in no time I had my dough ready to bake. I use the flat beater when I mix cookie dough and it never disappoints. 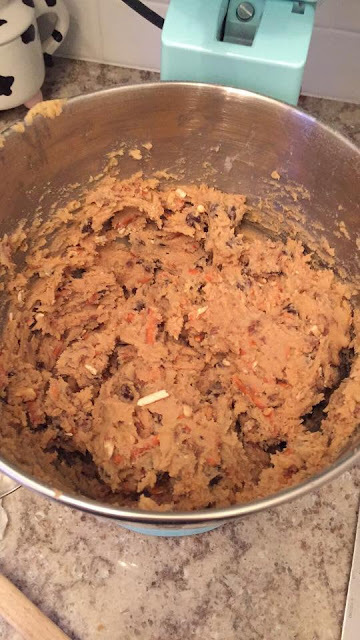 All my ingredients get mixed together well and my cookies always turn out fabulously. The end result. I have a hard time not staging food photo shots! Every kitchen around the world needs a KitchenAid mixer in it. You'll create fabulous crowd-pleasing meals and desserts that your guests won't soon forget. *DISCLOSURE* This product was provided to me at no charge by Ebay. All thoughts are strictly my own. If you have a blog and are interested in promoting eBay.com, please click here to join or learn more about eBay Partner Network, eBay’s in-house affiliate program.